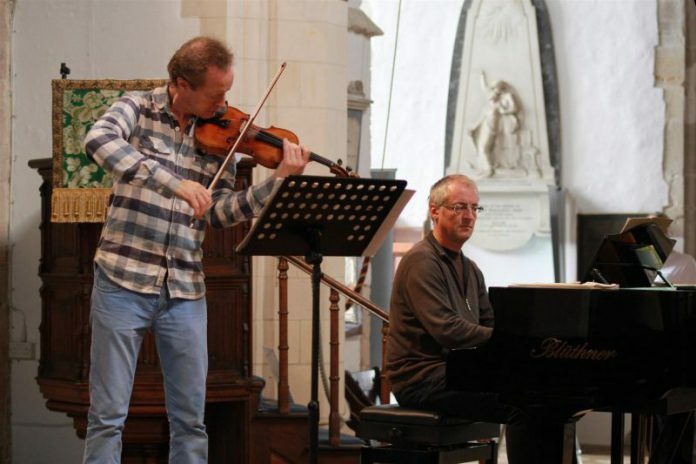 More than twenty years ago, new local resident, master violinist Anthony Marwood, found by accident Peasmarsh church and was sure that it would make a perfect space for chamber music. Violinist of the world-famous Florestan Piano Trio, Marwood recruited his two colleagues, ‘cellist Richard Lester and pianist Susan Tomes and together they began the Florestan Festival at Peasmarsh, which rapidly became, in the Rye area and throughout the South East, a must-hear musical event. In no time, both the line-up of musicians and the audience became international, as did the Festival’s reputation. After fifteen years, the Trio decided to disband so that its members could pursue more diverse projects. Susan Tomes, while continuing to play, gave more attention to her very well-received writing about music, while Richard Lester and Anthony Marwood engaged in more varied musical activities. However, to the relief and joy of us all, Anthony and Richard resolved to continue the summer festival at Peasmarsh and, becoming co-directors, renamed the event the Peasmarsh Chamber Music Festival, since when it has achieved, perhaps, even greater renown. 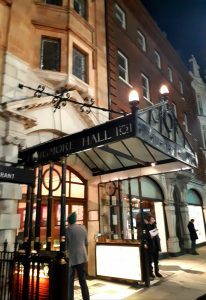 Last Sunday, November 25, to mark the twentieth anniversary of the Festival’s creation, the three Florestan members were re-united on the stage of the Wigmore Hall in London, scene of many of their trio triumphs of previous years. They were supported by two of their most significant Festival collaborators of recent years, pianist Aleksandar Madzar and the Doric String Quartet. Beginning with a wonderfully energetic piano quintet by the eighteen-year-old Hungarian Ernst von Dohnanyi, the first half concluded with the enigmatic, intriguing and often beautiful Four Quarters for string quartet by Thomas Ades, a meditation on possibly music’s most basic and important element: time. 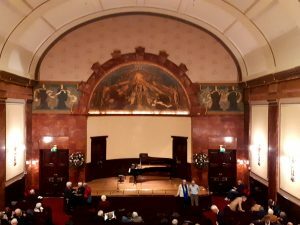 The second half was pure joy, with Marwood and Madzar playing Schubert’s Sonatina in D major with telepathic understanding followed by Marwood, Lester and Tomes finally together again and joining violist Helen Clement of the Doric Quartet in a memorably beautiful interpretation of Mozart’s First Piano Quartet. The evening was a wonderful celebration of the last twenty years of the Festival but also a tantalising reminder of all the wonderful musical experiences awaiting us next summer and, God willing, for many years to come. Image Credits: Rye & District Camera Club , Edmund Bird, Harry Oseni.